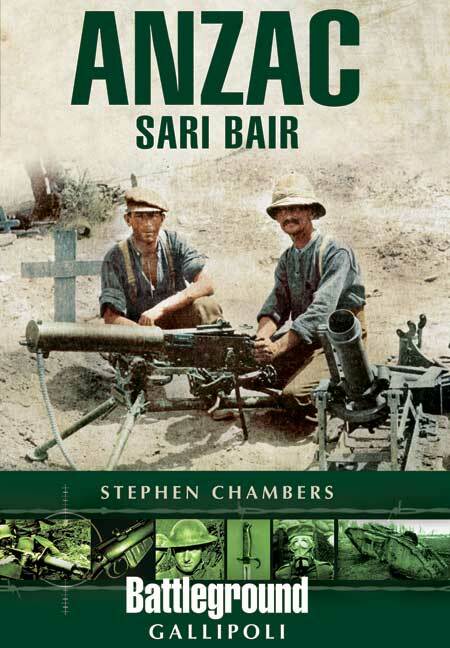 You'll be £14.99 closer to your next £10.00 credit when you purchase Anzac - Sari Bair. What's this? The August Offensive was born out of the failures of the Gallipoli landings and the subsequent battles of late spring and early summer 1915. General Sir Ian Hamilton, Commander-in-Chief of the Mediterranean Expeditionary Force, chose to play all his remaining cards in this daring and ingenious gamble that he hoped would finally turn the tide in the allies favour and bring his army up onto the heights overlooking the elusive Dardanelles. However the plan's same ingenuity became its eventual undoing. It required complex manoeuvring in tortuous terrain; whilst many of the attacking soldiers were already weakened by the hardships of four months of enduring very poor conditions on the Peninsula. What played out was heartbreakingly tragic; command failed the bravery and sacrifice of the fighting soldier. This Anzac offensive, fought by a combined force of British, Australian, New Zealand and Indian troops, made infamous places such as Lone Pine, The Nek, Sari Bair, Chunuk Bair, Hill Q, The Farm, Hill 971 and Hill 60. Although tantalisingly close to success, the offensive fell short of its objectives and the attack was ground down to a stalemate - not least the consequence of the inspiring leadership of Mustafa Kemal. Hamilton's gamble had failed. This is the story, told using a rich mix of letters, diaries, photographs and maps, of Gallipoli's last battles; the forlorn hope for a decisive victory. As featured in the West Sussex County Times and All About Horsham Magazine. Chambers has very thoroughly covered this disastrous period in the eight-month's struggle for the Gallipoli Peninsula. This is an excellent read for anyone wishing to expand their understanding of the Gallipoli Campaign. This book follows the now well established pattern of the Battleground Gallipoli series as authored by the excellent Steve Chambers... The account of the resulting Battle of Sari Bair is wonderfully illustrated with photos and maps that attempt to bring order to the chaos... Chambers presents a series of sensible routes annotated with plenty to see. The narratives are accurate, concise and well cross referenced to notes , bibliography and recommended further reading. The index is well organised and the Order of Battle covers both sides. The book is probably aimed at those who have already understood the broad lines of the whole campaign, is a good onward guide for those researching or writing, but an absolute must for anyone planning to visit the battlefield. Stephen Chambers sets a fine standard. The book is extremely readable and even after nearly a century, there is a terrible sadness of so much the men suffered. The Battleground Series is now well-established with more than 140 titles in print. This addition to the series maintains the very high standard set by the series. It includes a great many images in support of the text. The combination of thorough research and clear writing has produced a comprehensive work that can be used as a battlefield guide, or as a detailed historical account that will grace any WWI library. Highly recommended. Stephen is a freelance battlefield guide, author and researcher specialising in British military history, from the redcoats to khaki. His passion for military history and the battlefields has seen him visiting them since the 1980’s. He was wandering the WW1 battlefields of France & Flanders when the veterans were still numerous, having interviewed many of them over the years. He has guided tour groups since 2006, which began after a phone call from a major tour company who were short of guides, and since then he had caught the bug for guiding. However with a professional career in information security, battlefield guiding is currently a part-time vocation. Saying that in 2015 he spent 12 weeks on the battlefield guiding different groups, which included the general public, military groups and historical organisations. 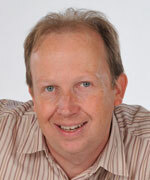 He works on a freelance basis for Battle Honours Ltd, and he has also led tours for Mat McLachlan Battlefield Tours (Australia) and Leger Holidays. He has guided tours, bespoke and scheduled, covering the Zulu War through to the Second World War. Stephen is a leading military historian on the Gallipoli campaign. His first book in the Battleground Europe series, Gallipoli - Gully Ravine (Pen & Sword 2002) had high acclaim, along with its follow-on volumes; Anzac The Landing (Pen & Sword 2008), Suvla: August Offensive (Pen & Sword 2011) and Anzac: Sari Bair (Pen & Sword 2014). British and commonwealth military history has continued to have been a successful theme, with Uniforms & Equipment of the British Army in World War One (Schiffer Books, 2005), the first serious work on the subject. His latest book, co-authored with Richard van Emden, is Gallipoli: The Dardanelles Disaster in Soldiers' Words and Photographs (Bloomsbury 2015). Stephen’s Battleground Europe guidebooks have all been translated in to Turkish. When not writing, Stephen is on the Battlefield, continuing his research and guiding groups. The best way to study a campaign is to walk in the footsteps of those involved, whether in the grasslands of Zululand, the mud of Flanders or the beaches of Normandy. His expertise is in what he calls the ‘Redcoats to Khaki’ period, in particular the Anglo-Zulu War, Sudan, Boer War, First World War and the Second World War. Stephen is currently a Trustee of the Gallipoli Association and is also a member of the Western Front Association and the Orders and Medals Research Society.